I kind of forgot that I was already 65 % done with this translation when I went on my bikepacking trip from Okinawa to Nagasaki. But I’m back now, so no excuses for further delays. This the last part of Suzuki’s musings and covers the particularly notorious part about Takahata “killing” Yoshifumi Kondō. An additional note: I wrote that the original article was posted on bunshun.jp which was not wrong, but it was originally published in the Ghibli Textbook #19: The Tale of Princess Kaguya. I have added this information to the previous articles. The original Japanese article can be found here. When will this film be completed, when will it be released to the world? I didn‘t even think about that once. Let’s just release it once it’s finished. With that way of thinking, I prepared myself for the worst, including the budget. Having enough of distressing over meeting deadlines was also a reason, and I also felt like I should let Takahata do until he was satisfied. As a result, [the production] took eight years and, with a budget of 50 billion yen, became the most expensive Japanese movie in history, but I decided to not let it bother me at all. But still, when I heard that the completion was in sight, I felt excitement – because Nishimura talked about summer 2013, the same timing as “The Wind Rises”. That’s when I came up with the idea of a simultaneous release. Two maestros with a teacher-student relationship and a lifelong rivalry, pitting their works against each other 25 years after “My Neighbor Totoro” and “Grave of the Fireflies” – if that came to be, making big headlines would be easy. And personally, I was also interested which film would attract more visitors and how different the critical reception would be if released at the same time. That’s when I went to Takahata-san and explained my plan to him. But Takahata-san was not thrilled. “You want to release this film by stirring up a fire like that?” “Exactly. You see, the film cost a lot of money, and recovering the money by getting people to see the movie is one of my reasons,” I replied, but Takahata-san said he would not agree to that. At one point, Takahata-san likened my way of promotion to propaganda and become quite critical. 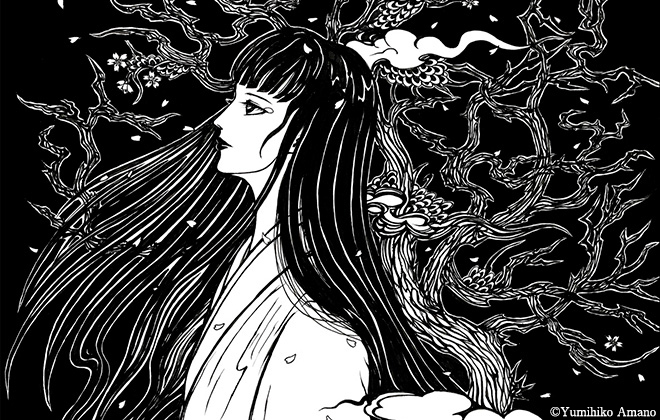 As a result, progress on “Kaguya” got delayed once more, and the release was stretched out until November. Admittedly, my dreams of a simultaneous release were shattered, but I thought, if it’s not meant to be, that’s also fine. In that way, I countered his stubbornness with my own stubbornness. I decided to take this contest of endurance to the limit. In regard to the tagline, Takahata maintained a peculiarly consistent stance. “We shouldn’t evoke a wrong impression of the work,” he said. To explain this further, he wanted to make “sin and punishment” the theme of the work, but was unable to realize it in practice, which was why that tagline was wrong. We then used “sin and punishment” and made the first poster, but that lead to yet another clash. For the test print run, we made one version with colors true to the actual key frames, and one version with a fluorescent pink that was a little flashier. I took those to Takahata who looked at the flashy one and lost his temper. “You seriously want to sell this work like that? !” While he was shouting furiously, I remained silent and Kazuo Oga-san who had drawn that picture happened to pass by. Surely Takahata thought he would be on his side. “Oga-san, what do you think?” I asked him. At that moment, our eyes met for a second. Thereupon, Oga-san replied: “I think this one is better” while pointing at the flashier one. I’m sure that must have been bitter for Takahata-san. In other words, the movie “The Tale of Princess Kaguya” was a struggle between Takahata-san and me. That’s why I couldn’t just calmly watch the movie. But when it was completed, the one thing that I frankly must admit was amazing was how he captured Princess Kaguya as a woman. Including the scene of her first menstruation, she was portrayed as a woman perfectly. There are no other directors who can do that. I’ve got to hand that to him. I really think the movie turned out well. Every human does good and bad things in their lives, and due to their work, movie directors can’t always be good people. There are times when they involuntarily change the lives of others, and sometimes become the target of resentment. In Takahata’s case specifically, making good movies meant everything to him to the point where everything else was secondary. You could very well call it “work supremacism”. But there’s no denying that this destroyed a lot of people. Kondō Yoshifumi, the animation director of “Grave of the Fireflies”, was one of these people. When he visited Sendai for the promotional campaign of his first and last movie as a director, “Whisper of the Heart”, he talked to me about Takahata-san that night and couldn’t stop. “Takahata-san tried to kill me. When I think of him, even now my body starts to shake.” Talking like that, he cried for two hours. After that, he fell ill and died at the age of 47. While we were waiting for his bones to be burned at the crematory, S-san, an animator and colleague who had worked with Takahata and Miyazaki since their times at Toei Dōga, said the following: “It was Paku-san who killed Kon-chan, wasn’t it?” The air froze instantly. After a little while, Takahata-san silently nodded. If it was for the sake of a work, he did everything. As a result, he wrecked the people we had pinned our hopes on one by one. Miya-san often said: “The only staff member who survived Takahata-san was me.” This is no exaggeration; it is the truth. You may think working under Takahata will be a good learning experience – but it’s not as simple as that. You have to be prepared to be exploited, overworked until you break. “Paku-san” is the god of thunder.” That’s what Miya-san said a lot recently. When Takahata-san got angry, he was always serious. He doesn’t get angry to discipline someone or change their attitude towards work. And because he’s serious when he gets angry, he knows no mercy. He doesn’t leave a way to escape and doesn’t extend a helping hand afterwards. That’s what makes it so scary. I have also met all kinds of people, but no one else like Takahata-san. No matter what the staff did for him, he never expressed gratitude. According to his way of thinking, since they were working together on something, it would have been strange for him as the director to express his gratitude. That might seem logical, but from an interpersonal perspective, he lacked feelings – his was a destructive way of thinking. “You alone tried to bring Paku-san to make movies. No one wanted that,” Miya-san once said to me. But during the production of “Heidi, Girl of the Alps”, Miya-san himself went all the way to Takahata-san’s place every day to urge him, who had no intention to so, to work. Going even further back in time, during the times of Toei Dōga, animation director Ōtsuka Yasuo-san insisted: “If you don’t let Takahata direct, I’m not doing it,” which let to Takahata’s directorial debut on “Hols, Prince of the Sun”. Looking back, there was no work Takahata said he really wanted to make on his own accord. But still, myself included, the people flocked around him and pushed him to make [movies]. Was that the reason for his talent? I don’t really understand it myself. To begin with, no matter if writer or movie director, people who want to create something to show it to others usually have a strong desire for recognition, right? I believe Takahata also had this desire. But at the same time, in accordance with his destructionalism (destructive principles / 破滅主義), I have the feeling he was also tormented by self-destructive desires. I think the person Takahata Isao can be described as in a rift between these two tendencies. There is this word called “charisma” – people are deeply shocked [by someone], think that there is something to that person and start following them. This is neither good nor bad. But once captivated by this charm, it doesn’t let them go until that person dies. No, even then it doesn’t end. That’s why even after working with Takahata-san for 40 years, I couldn’t let my guard down even once. Even after his death, this tension does not subside. That’s how I feel. Expressed in more beautiful words, you could say he still lives on in my heart. But that’s not what it is. I want him to peacefully leave this world behind, but he simply won’t do that. What is this feeling? What was there to this person? Me and Miya-san, we want to find this answer, and continue our wake together even after his death. By the way, in the movie Miya-san is currently working on, “How Do You Live?” (Kimitachi wa Dō Ikiru ka), there is a character modelled after Takahata-san. I’m interested in how Miya-san will handle this character. After Takahata-san’s death, the progress on the storyboards that went smoothly has halted now for two months. That’s why even now I don’t feel like praying for Takahata’s happiness in the next world. That might be difficult to understand for outsiders. But these are my genuine feelings right now. That’s it for now, thank you for reading. I personally find Suzuki’s stories very fascinating. Studio Ghibli is not bound by any higher entity trying to protect a brand image or anything, so Suzuki, Miyazaki and Takahata were always talking very freely about basically anything – quite unlike what Japanese usually do. The amount of documentation of Studio Ghibli works, their productions and the people involved is insane. For me that is a big part of the fascination, and the deeper I delve into it, the more engrossing it becomes. Miyazaki, Takahata, Suzuki – it’s not only their works, I also find their personalities highly interesting. 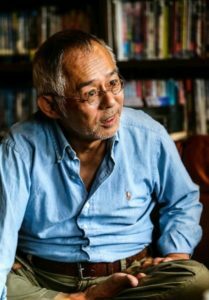 There are other magazine article translations I’m planning to do – one very recent article in the same style where Suzuki talks about Miyazaki (references by ANN here), the work on Spirited Away and the footprint Miyazaki left on the Heisei era. Another very interesting article from 1963 was re-published yesterday – it’s about legendary animator Reiko Okuyama who was one of the first woman to enter the animation industry in Japan. She is the model for the current NHK morning drama (asadora), Natsuzora, that tells the story of a girl growing up after World War II and eventually entering the animation industry. In the article, she talks about her experiences as a woman in a work environment dominated by men and why she decided to become an animator. If you have any interesting suggestions for articles that still need translation, feel free to mention them in the comments. I am sorry for the long, long wait, but here’s part 2. A lot of fascinating details about the production of Princess Kaguya. I’ve also started adding tooltips (I may go back and add some to part 1 at some point). I plan to finish the third and last part by tomorrow. 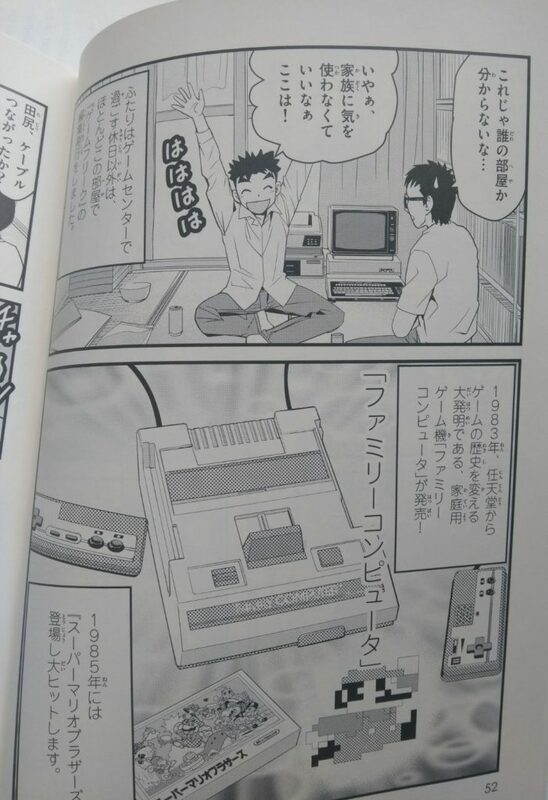 The original Japanese article can be found here. Originally published in the Ghibli Textbook #19: The Tale of Princess Kaguya. I told Takahata how Ujiie-san told me he wanted to see one more of his works at all cost before his death. Since there were no other good proposals, and “Tale of the Bamboo Cutter” had no scenes of people killing each other, Tanabe-kun would also agree to help, I told him. While trying to convince him with these words, Takahata-san suddenly asked: “Okay, please tell me one thing. Why did the princess, among all the stars, choose the Earth? If we don’t understand this, we can’t make this movie, right?” “Please think about that yourself,” I was about to retort, but he would continue this question-and-answer game with the producer forever because he was someone who needed this input at certain intervals to move forward. When such a discussion got going, he wouldn’t stop and continue talking throughout the entire night, even until the next morning without batting an eyelid. Especially during the planning stage, we had to do these talks for at least 10 hours every day. Honestly speaking, I got fed up with this and it also left me with no time to attend to my other work. That’s when I sent the young Yoshiaki Nishimura and Taku Kishimoto in as Takahata’s discussion partners. Because they were so young, they were able to stand their ground as his conversation partners, and my hope was also that having new conversation partners would prove to be stimulating for him. And when it actually began, those two young guys listened enthusiastically to what he had to say which also seemed to make him happy. I periodically had the two report to me, at which point they told me that Takahata-san wanted to completely change the project plan in the middle of the way. He was thinking about making a drama with Norio Akasaka’s book “Birth of the Lullaby” as an original concept. But he himself understood that this would be difficult. So after many twists and turns, he returned to the initial “Kaguya” plan and the production began formally. I believe that as a producer, I must run a three-legged race with the director, so to speak. Looking at it from that perspective, I couldn’t be called producer this time. That’s why I appointed Nishimura as the producer and left everything to him. By the way, the other producer, Kishimoto, quit Ghibli in between and is now a popular scriptwriter. As the preparations for “Kaguya” progressed, Ujiie-san invited Takahata-san, Miya-san and me on a trip to visit art museums in Europe. Beginning in 2008, we would visit [museums in] France, Italia and Spain for the next three years, but I think Miya-san and I were just extras – Ujiie-san really wanted to go with Takahata-san. At that point I tried to ask him why he was so fixated on Takahata-san. “Takahata’s movies have a poetic side. I fell in love with that. That man still has the scent of a Marxist.” That was Ujiie-san’s answer. In the end, the movie could not be completed in Ujiie-sans lifetime. But at the end of 2010, he was able to take a look at some of the storyboards that were already completed. He took his time to read through them, and then uttered: “Princess Kaguya sure is a selfish girl. But that’s just the type of girl I like.” Three months later, Ujiie-san left this world at the age of 84. Observing this every day, I noticed something amusing. When Takahata-san got angry, Miya-san would casually stand behind the Kaguya team and strain his ears to hear what was going on. Then on the next morning, he’d visit Tanabe at his desk. “What Paku-san meant is this. That’s why you have to draw it like that,” he would explain while drawing what he meant. “But don’t tell Paku-san that I told you this.” That’s what he’d do every day, all while neglecting his own work. But Tanabe is a stubborn guy, so he refused to draw like that. Miya-san really has a soft heart, it was touching to see… After “The Yamadas”, he saw the terrible state of the studio. “We can’t let him make another movie,” he exclaimed furiously, but in the end he himself wanted to see Takahata’s works more than anyone. When the preparations had reached a certain point, the progress suddenly slowed down. When I asked Nishimura, I learned that in short, Takahata tried to make Tanabe single-handedly draw all the scenes. The already steep demands from “The Yamadas” were escalating further. In the past decades, the level of detail in animation has gradually increased. For example, during “My Neighbor Totoro”, one person drew about ten minutes worth of key animation of a feature-length movie, but nowadays no more than 3 minutes are possible. In a time of strong work segmentation where more and more animators are needed, Takahata tried to make one single person draw everything. If he’d leave it to a select few, I could understand it, but it just wasn’t realistic to leave it to one person. I then took a middle position and suggested Nishimura to have about three people draw the pictures. 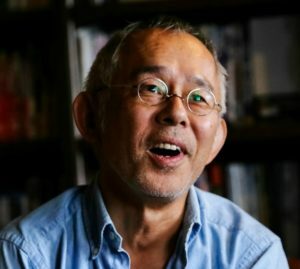 As a result, Masashi Andō returned to Ghibli for the first time in a long while. Under Miyazaki, he’d worked as the animation director for “Princess Mononoke” and “Spirited Away”. Furthermore, Ken’ichi Konishi and Shinji Hashimoto, who had worked on “The Yamadas”, joined in and things finally progressed on the key animation side. It was when the production was maybe halfway done when Nishimura came to me and said with a serious expression: “We won’t be able to complete it at this rate.” At that time, I told him: “If you really want this work to be completed, dismiss Takahata. Just leave the rest to Tanabe or Andō.” Takahata was someone who had studied the French language and learned to think in an European style of rationalism. I won’t go as far as to say he would have quit by himself, but if a producer dismissed him from his post, he would think about it logically and obey. That was an especially troublesome time for Nishimura. 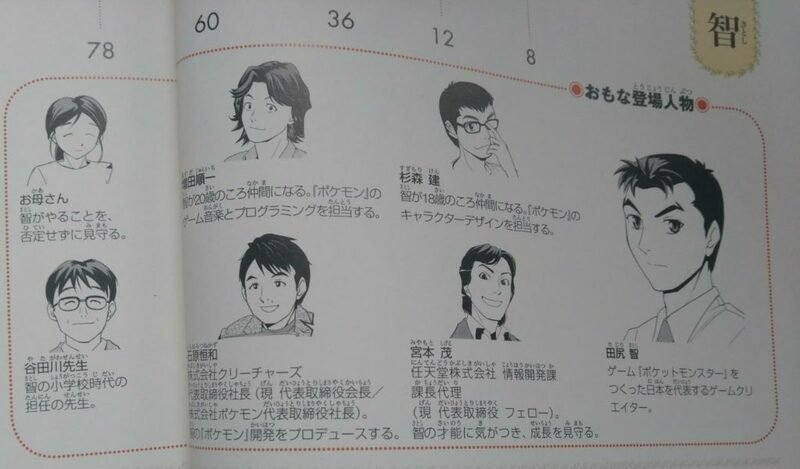 In the end, after a 3-month standstill on the key animation side, he was able to get Takahata-san to devote himself to finishing the storyboard. Trouble like this came and went, but this time I didn’t have to deal with it directly, so I was able to take it relatively easy. Nishimura-san, who continued to work with Takahata-san, on the other hand, got thinner and thinner. I appointed him when he was 28, but when the work was finished, he was 36. During this time, he had married and become a father. He devoted most of his youth to one film. I think he really, persistently did his best. 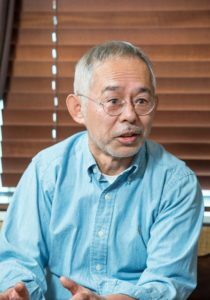 Last August, the severe working conditions under Isao Takahata made headlines on many websites after Ghibli producer and long-time colleague Toshio Suzuki openly talked about Takahata’s incredibly demanding work practices and how he “destroyed” the staff that worked on his films. 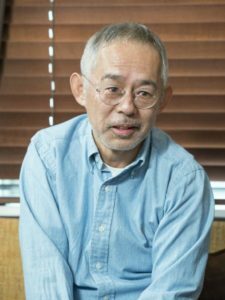 In a three-part article for the Japanese website Bunshin, Suzuki reminisces about Takahata and why Takahata is still on his mind even months after his passing. Some key points and quotes were already mentioned in said articles, but the whole thing is much, much longer and contains many more insightful comments by Suzuki that help us understand what kind of man and creator Takahata was, for the better or worse. This is my first Japanese-to-English translation of a text this long, so I apologize for any wonky English you might encounter. I will try to translate part 2 and 3 as soon as possible. Ｐublished on August 10, 2018 here. Originally published in the Ghibli Textbook #19: The Tale of Princess Kaguya. When Takahata-san died, and even now after the memorial meeting, my feelings show no signs of settling down. After the death of Tokuma Yasuyoshi, Ujiie Seiichirō-san, my mother and my father, I was able to sort out my feelings after the funeral. But this time I’m just unable to calm down. Constantly Takahata-san comes to my mind. I’m experiencing this for the first time in my life. Maybe this shows what a strong presence he had, and honestly speaking, it bothers me. I’ve already said this at the “Farewell Party”, but in the end, my relationship with Takahata-san was that of a producer and a director. There was always some kind of tension in the air. I already knew from my phone calls prior to the meeting that he was a difficult person, so I fired back by confronting him with the questions I had carefully prepared beforehand. His replies were endlessly long and before I knew it, three hours had passed. Just when he was about to leave, Takahata-san said: “You can’t use this, right? You can’t make this into an article, right?” I accepted this challenge and wrote an article. From this day until the end of the production of the movie, I met up with Takahata-san in Kōenji every day and we continued our talk. Then, at the screening party after the movie’s completion, Takahata-san told me: “Thanks to you, I was able sort out my own thoughts.” That might have been the first time tasting the joys of making movies and being a producer. The movies I worked on at Ghibli with Takahata-san include five titles, “Grave of the Fireflies”, “Only Yesterday”, “Pom Poko”, “My Neighbors the Yamadas” and “The Tale of Princess Kaguya”. To make a movie, the director and the producer form a joint venture-like relationship. No good works are created just by getting along. It’s no overstatement to say that we argued continuously each time and that those days were like fighting a war. You often hear that you should keep a proper distance, but it’s not that easy. We just clashed time and time again. My position demanded me to point out the uncomfortable facts to Takahata-san. When we fell behind schedule more and more during the work on “Grave of the Fireflies”, I had no choice but to get into a serious argument with him to have the film ready for the opening day. After a discussion with Murase Takuo who was in charge of Shinchōsha back then, I decided to trim the 107-minute long storyboard down to 88 minutes. I still painfully remember that even that was not enough, and the movie had to be screened with some parts still unpolished. When working on “Pom Poko”, I already anticipated that we would fall behind schedule and went so far as to put up an altered promotional poster reading “Opening This Spring” instead of the real “Opening This Summer” poster next to Takahata’s workplace. But it had no use at all. (laughs bitterly) In the end, I had to make cuts again, something Takahata-san held against me forever. This process continued to repeat itself and after the production of “The Yamadas”, I decided to put an end to Takahata’s works. “The Tale of Princess Kaguya” wouldn’t have happened without the involvement of [former] Nippon TV chairman Ujiie Sei’ichirō-san. I didn’t know how to reply to that, so I trivially said: “But you’ve held a high position in the mass media. You were the one who rebuilt Nippon TV, Ujiie-san” to what Ujiie-san shouted angrily: “Idiot! Everything in the Yomiuri Group was built by Shōriki [Matsutarō]-san. We only have built upon that. I want to try to make something by myself at least once. I cannot die before I do that.” He looked very serious. The storyboards are drawn, and based on that, the layout work is done, and the key animators draw the key frames. Then the in-betweeners draw the pictures between the key frames. This is the basic principle of the Japanese animation system Takahata and his peers have established. But when he made “The Yamadas”, Takahata said he wanted to scrap that system. He said he wanted an approach where one person draws all lines. He denied the methodology he himself created and rebuilt it from scratch. Creation, destruction and regeneration. Describing it like this may sound cool, but it effectively eliminated the work of 50+ in-betweeners, and the animators who had to do the entire process were worn out to the verge of collapse. But when Takahata wants to do something, he listens to no one. One by one, he wore the staff out until they left. Miya-san knew that and exasperatedly exclaimed: “Suzuki-san, what’s happening here? I want to protect this studio.” I could understand his feeling very well. What Takahata was trying to achieve far exceeded the frame of a normal animation movie meant for entertainment. Because he employed the same methods as someone creating works of art, the results were so impressive. If an impressionist painting would be created as animation – well, that’s what “The Yamadas” became. Later, when a retrospective exhibition of Ghibli works was hosted in the MoMA (Museum of Modern Art in New York) and the person in charge came and said: “There is one wonderful work that stands above all others. I want to add that to our permanent collection,” I was not surprised. That was the mindset this work was created with. But Ujiie-san didn’t give up, even after I explained all these things to him, and insisted on a Takahata movie. At that point I resigned and began to discuss the plan for the project with Takahata-san. The first Seiken Densetsu for the GameBoy game has a curious release history. 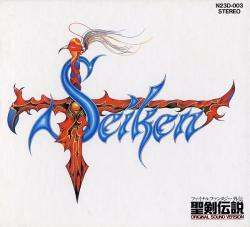 Originally a Final Fantasy spin-off in Japan with the title “Seiken Densetsu: Final Fantasy Gaiden”, the game was released as “Final Fantasy Adventure” in the US and “Mystic Quest” in Europe. Mystic Quest would then also turn into the title of a game intended to provide an accessible role-playing experience for beginners in the West, “Final Fantasy Mystic Quest” (US) which, again, would have different names in other regions: “Mystic Quest Legends” in the EU and “Final Fantasy USA: Mystic Quest” in Japan. This game is, by the way, in no way connected to the Seiken Densetsu series. Seiken Densetsu was later remade as “Sword of Mana” (“Shin’yaku Seiken Densetsu” in Japan) for the GameBoy Advance. 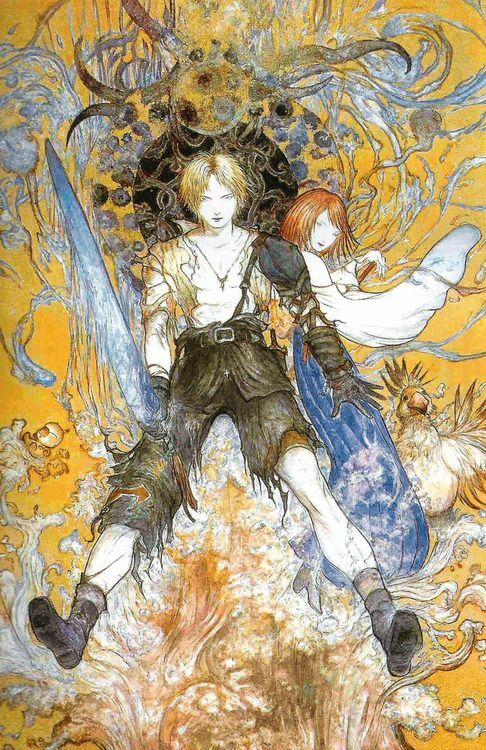 Story, graphics and gameplay were heavily revamped to match the standards of the Mana series at that time, and all references to Final Fantasy were removed. The game was such a departure from the original, actually, that calling it a reimagining might be more accurate. The changes were not uncontroversial, but it is unquestionable that Shin’ichi Kameoka’s iconic character and environment designs made it one of the most beautiful games for the GameBoy advance. 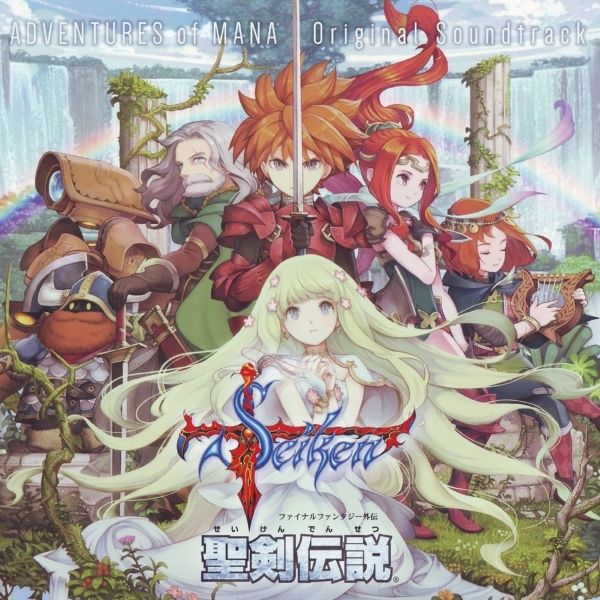 But here comes the most curious part: In 2016, Square Enix published a 3D remake of the first Seiken Densetsu for mobile phones and PlayStation Vita, called “Adventures of Mana” in all regions, that completely ignored what Sword of Mana had done. While I understand the wish for a more faithful, unembellished remake, Adventures of Mana actually turned out to be nearly a 1:1 port of the original that completely scrapped Kameoka’s beautiful style that had become an iconic part of the series in favor of cheap-looking and plain 3D graphics. Needless to say, Adventures of Mana did not make big waves, and it was forgotten soon after. Now what all of these versions have in common is the music by Kenji Itō. His memorable soundtrack helped to make Seiken Densetsu the game with the most emotionally engaging story of its time by a long shot, and he’s been in charge of the arrangement of both Sword of Mana and Adventures of Mana. As a big fan of Itō’s music in general and this soundtrack specifically, I’ve spent a lot of time listening to all its variations. So, in what ways do these three versions differ? Obviously, Seiken Densetsu and Sword of Mana were restricted by their respective release platform’s specifications, resulting in 8- and 16-bit music respectively, while Adventures of Mana does not have these restrictions. In according with the expanded story and content, Sword of Mana also features a bunch of new music. Some of the new pieces are variations of existing themes, but many are entirely new. Some of the additional tracks in Sword of Mana include “Pleasing Scenery” (a new town/village theme), “Chain of Fate” (a heartrending piece that conveys the tragedy of the game’s story perfectly), “Running Towards the Future” (an excellent new field theme), to name a few. But the game also dropped some pieces of the original. Since all Final Fantasy elements were removed, the “Mogry” and “Chocobo” tracks were also not included. The original game contains 27 pieces of music (+1 unused track), Sword of Mana 40 pieces and Adventures of Mana the same 27 (+ 3 jingles and 1 bonus track) tracks as the original game. The unused track, “Town”, is not featured in the original game and not even on Sword of Mana’s soundtrack released, but was both arranged for Adventures of Mana AND used in the actual game – and I’m really happy about that, since it’s a very expressive and memorable track, especially in its newly arranged form. Kenji Itōs love for rock music really shines through in Adventures of Mana. The battle themes and some field themes are much rockier than the GB/GBA would’ve ever allowed, and it even features a “Endless Battlefield -More Rock Ver.-“ as a bonus track. The arrangement of “Battle 2” strongly resembles a previous arrangement released on the 2011 “Re:Birth/Seiken Densetsu Kenji Itō Arrange Album”. Some themes were expanded upon in Sword of Mana. “Village”, for example, is almost twice as long before it loops. These expansions were, as everything new in Sword of Mana, ignored in Adventure of Mana. A real shame here, since I absolutely love the Sword of Mana version of “Village”. On the other hand, Adventures of Mana does also have some expanded tracks, like the main theme “Rising Sun” or “Dungeon 3”. Despite the lack of technical restrictions, the music of Adventures of Mana is entirely synthetic. The mentioned Re:Birth album had used real instruments, but even the “Battle 2” was rearranged using entirely digital means, though the overall quality of the samples is quite good, making the arranged music easily the best part of the remake. 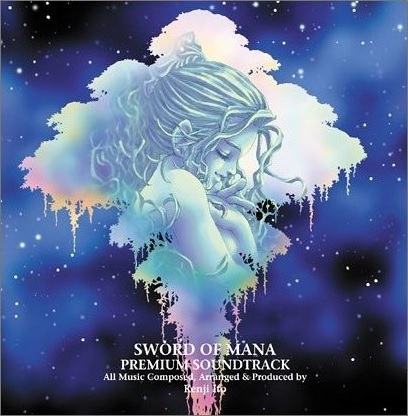 The Sword of Mana soundtrack was released as a “Premium Soundtrack” with 3 discs, with the game’s soundtrack on disc 1, a piano collection of 7 tracks on disc 2 and a single 2-minute long medley of the main theme “Rising Sun” and “Endless Battlefield” on disc 3. Personally, I love all three releases, but if I had to pick just one, I’d definitely choose Sword of Mana. I love the 8-bit sound of the original Seiken Densetsu, but many of the tracks are too simplistic and had not reached their “final form” yet. I also love the modern arrangements of Adventures of Mana that are more on-par with the modern digital capabilities (though not *quite* what they could’ve been). But I’m a sucker for the 16-bit GBA sound in Sword of Mana AND the game has not only some of the best arrangements (“Village”! ), but also features quite a few excellent new additions I don’t want to miss. But in the end, my favorite versions are scattered across all three releases, so I’ll just rank them from 1 (favorite) to 3 (least favorite) for each of the 27 original tracks. This is completely subjective, obviously. Bottom line is, just like the games, music of Seiken Densetsu and Adventures of Mana are very similar while Sword of Mana has more content and stronger variations from the original, for the better or worse. Mostly for the better, if you ask me. I visited a Yoshitaka Amano art exhibition at the Big Palette Fukushima building in Kōriyama last week. Disappointingly enough, photos were not allowed, so I can’t post any of the actual event, but that is probably standard procedure at art exhibitions. The building was part of a really big congress center and thus not overly charming. 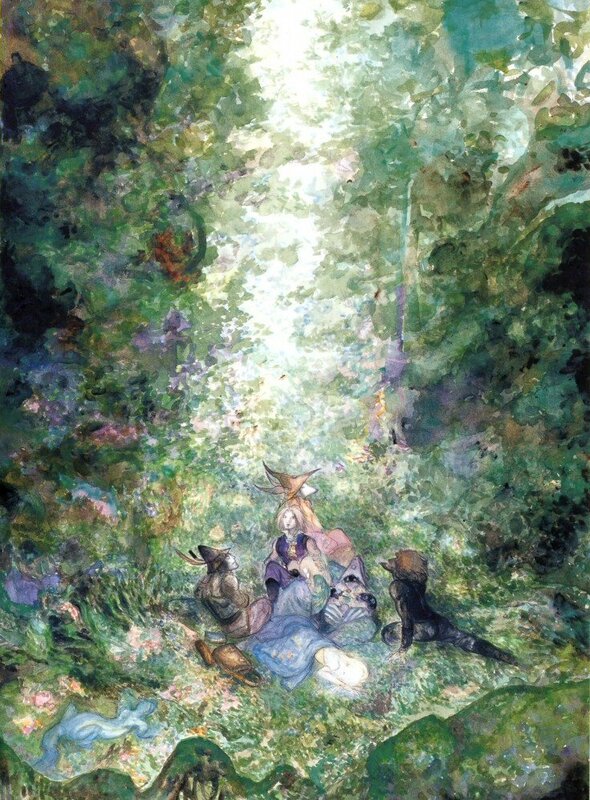 Exhibited were a large variety of Amano works, ranking from originals to Final Fantasy art and his works for a variety of other franchises. All pictures were originals, as far as I could see, and most of them up for sale. 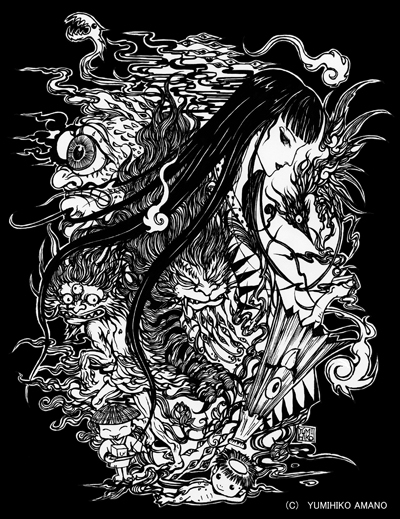 Not by Amano himself, but by private owners. So the main purpose of the exhibition may have been to sell these originals. The most expensive ones I saw were about 1,500,000 yen (~13,500 USD). The staff members there were eager to tell anyone interested more about the works. After doing a bit of research, this seems to be the same kind of exhibition that was already done last year. At least a Reddit user posted about it and apparently got the same poster. 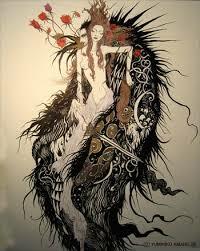 The exhibition also included 5 works by Amano’s son Yumihiko, who also has an interesting style. In addition to the usual Amano-style art works, there were also some chibi-style works exhibitioned – didn’t know Amano also did those. I think I was familiar with the majority of the works exhibitioned, though definitely not all of them. Apart from some originals, one piece I particularly liked was this artwork from Final Fantasy IX. Since entry was free, I was not surprised to see that the free mousepad I received as a pre-registration gift was really small and thin – not something I would actually use. The A2 FFX poster everyone got for free, on the other hand, is of good quality. They also had a merchandise shop, selling posters, postcards, clear files, cups and other stuff. No art books, sadly, I would have definitely bought those. 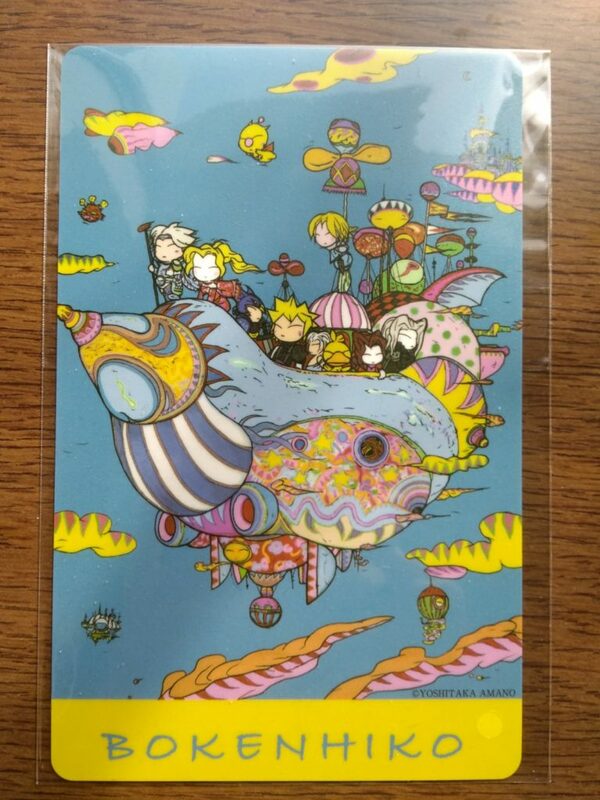 Instead I bought two postcard sets (2×6 cards for 1200 yen). The A2 posters were nice, but overpriced (~3000 yen). 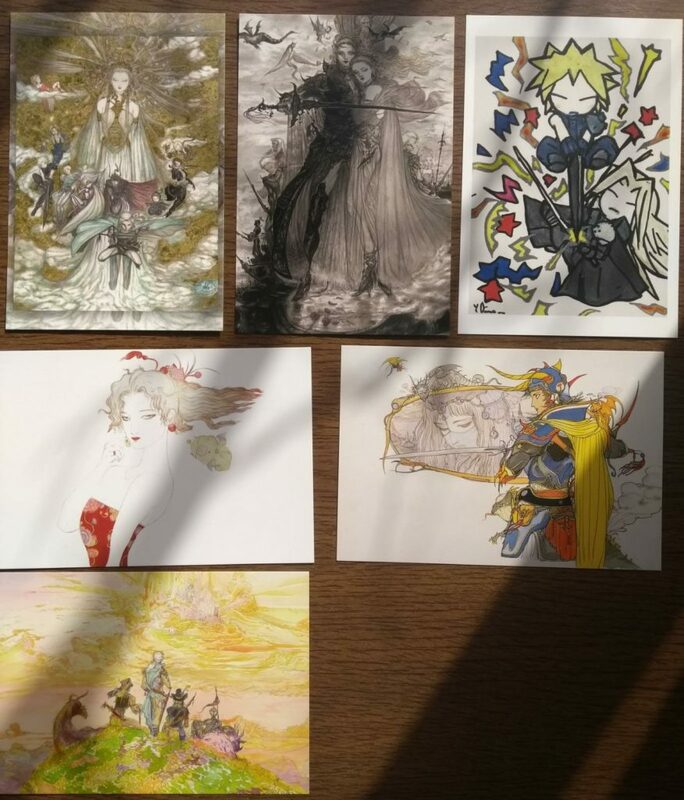 So my final verdict is: Although a bit different and more commercial than I imagined, it was a good opportunity to see Amano’s art in real life – definitely a different experience, since he uses stuff like gold dust that can’t really be captures on photos. Would I go again? Probably not if it was the same kind of exhibition again. But I’d go to a museum-style exhibition that focuses on the cultural importance and historic background of the art rather than the price tags any day. 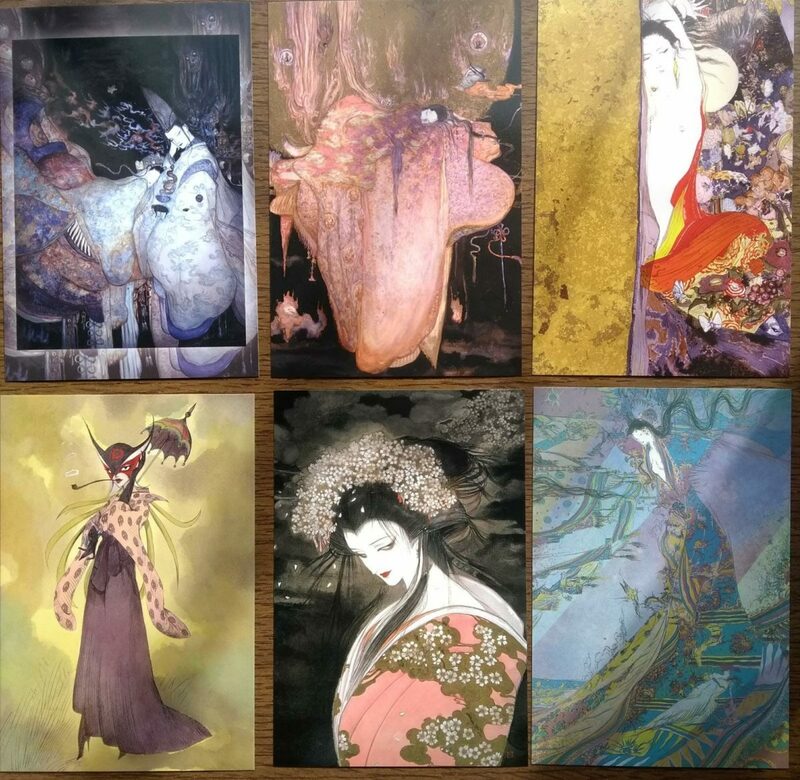 All images in this post except for the mousepad / post card photos are © Yoshitaka Amano / @ Yumihiko Amano. 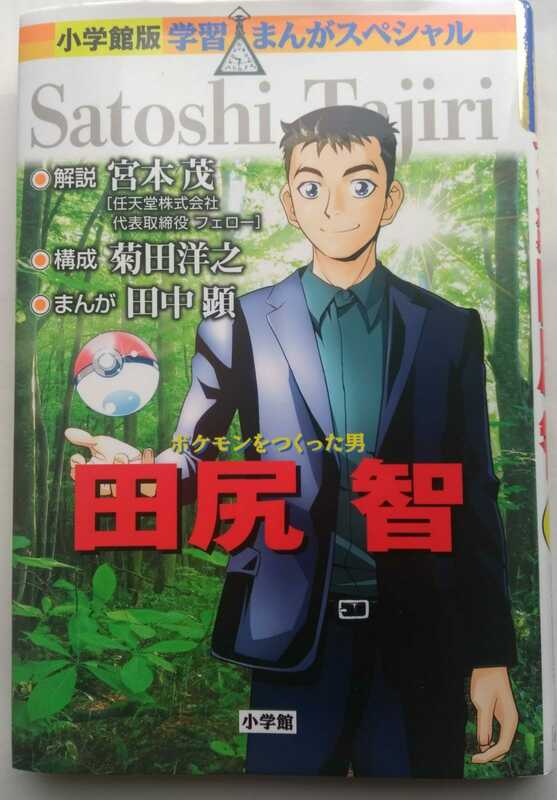 Last year, an autobiographical manga about the life of Satoshi Tajiri, creator of the famed Pokémon franchise, was published in Japan. Shōgakukan marketed the book as a “Learning Manga Special” (学習まんがスペシャル) – Learning Manga 学習まんが is a popular series that covers many famous personalties, including Tezuka Osamu, Napoleon, and van Gogh. 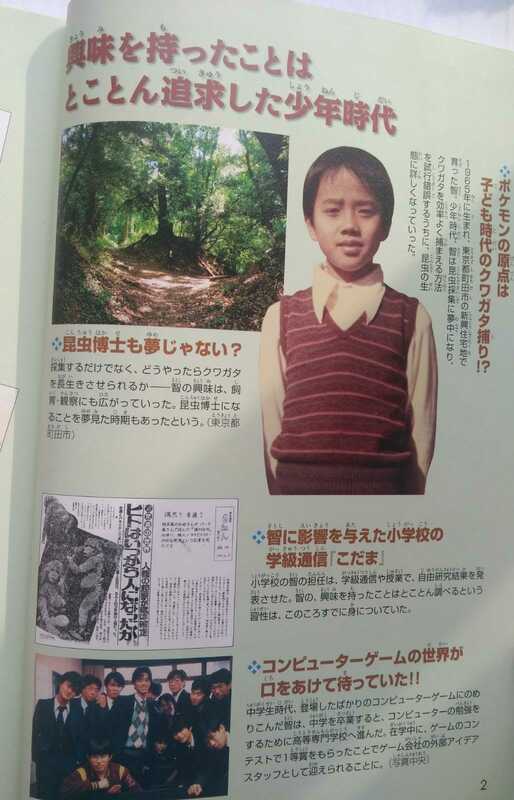 They also included photo material and information on Tajiri in addition to the manga sections. The book made some headlines in English media outlets for featuring some never-before-published early-stage designs of first-generation Pokémon (covered in detail here) but was otherwise mostly ignored. I’ll try to give an overview of its contents. The first thing to notice is that the manga is, unlike most manga, actually a hardcover release. It includes 16 colored pages and fully-colored front and back covers (as opposed to just a colored sleeve), making its ¥900 price tag more than justified. 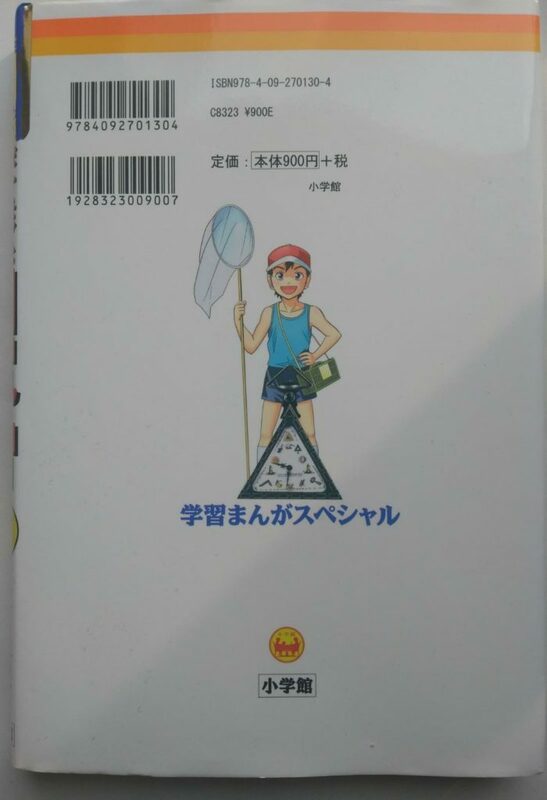 The first few pages contain a brief overview of how Tajiri’s love for bug catching and video games eventually lead him to develop Pokémon before the manga section begins. Bugs and Invader – Tajiri hunts bugs as a child and discovers his Space Invader in his youth, the game that turned him into a video game enthusiast. An Increasing Number of Friends – Tajiri creates and sells the a dōjin strategy guide magazine “Gamefreak” during his high school years which becomes extremely popular and leads him to meet Pokémon character designer Ken Sugimori and composer/programmer Jun’ichi Masuda. Struggles of an Amateur Publisher ~The First Game Strategy Guide~– The group of friends decides to make video games together. Tajiri’s motto is that Gamefreak should “make games they’d want to play themselves”. With no budget and resources, however, they have to build their development environment from old used computer parts and find a publishing partner for their games. Their first success, Quinty, nets them 50,000,000 yen – money they use to create a company. 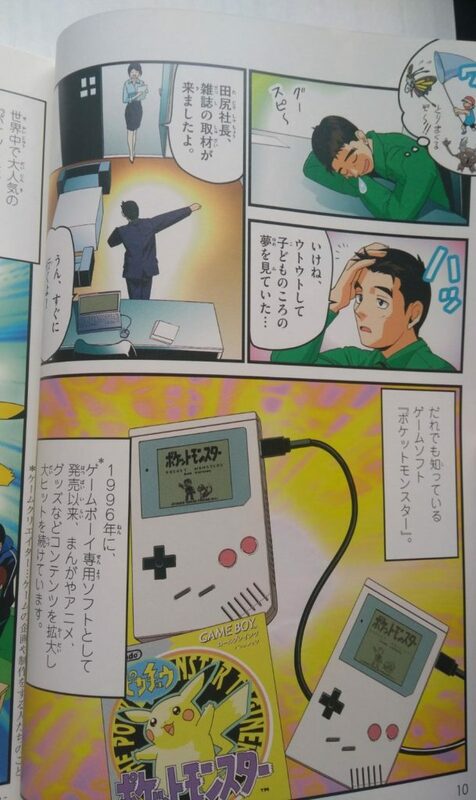 Hardships of Society and the Budding of Pokémon – Tajiri witnesses the potential in the cooperative aspect of the GameBoy’s link cable and decides to create a game centered around that aspect. With support from Nintendo and Shigeru Miyamoto, development on Pokémon begins. A Series of Troubles – Gamefreak experiences funding problems, eventually leading a development time of 6+ years while Tajiri continues to polish his ideas. Dissatisfied with the situation, all three of Gamefreak’s programmers leave at a crucial point, at which point composer Jun’ichi Masuda offers to take the position of the main programmer, despite only having hobby experience. The Birth of Pokémon – Pokémon is finally completed and released first in Japan, then worldwide. It becomes an instant hit. Epilogue – Tajiri is happy whenever he sees how Pokémon has become a part of so many children’s lives. Between chapters, there are short trivia segments about Tajiri’s life that include some of his personal remarks. While the general story that lead to the birth of Pokémon is well-known, we learn a bit more about Tajiri here – his fondness for overseas radio programs and discovering unknown worlds and more. There are some amusing anecdotes here: His love for video game music lead him to sneak out of his home at night to record the sound of the games in arcade centers when few people where there, a passion he shared with one of his friends. His mother, however, was really angry when she caught him one night. 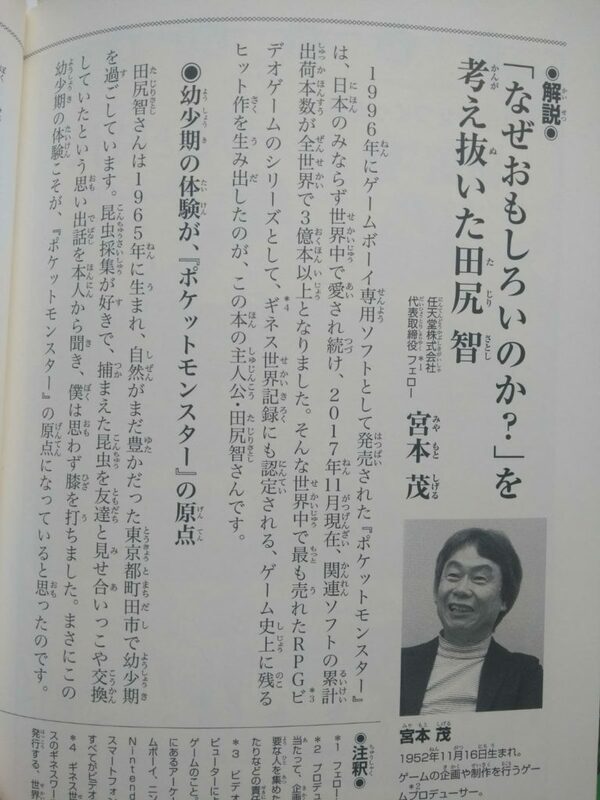 The last part of the book contains a six-page commentary by Shigeru Miyamoto, reminiscing about his relationship with Tajiri and his personality. Here Miyamoto says that although he worked as a producer on the Pokémon series, Tajiri had such a keen understanding of what makes a game fun that he didn’t really have to do anything during the production of the first game. What he did, however, was provide Gamefreak with a larger ROM that allowed Tajiri and his friends to increase the number of Pokémon within the game from 30 to 150. Miyamoto’s comments help to understand what an extraordinarily strong vision Tajiri had and what set him apart from his peers. The manga itself is a joy to read and will appeal to both readers interested in the life of Tajiri and those who just want to see the birth story of the Pokémon games presented in an exciting way. The drawings are playful, but not too exaggerated, and there’s a lot of additional information crammed in via narration textboxes. Overall, I’m quite fond of this book. It’s very accessible even for children, and the presentation of the environment Tajiri grew up in makes it a rather engaging read, complemented by facts and tidbits about Tajiri and the Pokémon franchise. I always perceived Tajiri as a rather media-shy person, but in the manga, he actually makes a quite social impression. I also realized once more that many of the most successful creative people had parents who granted them a lot of freedom and supported them in their endeavours – in this case, Tajiri’s mother. The book is not too in-depth, so there are undoubtedly books out there that cover the history of Pokémon in more detail, but it’s definitely very enjoyable and I would recommend it to anyone at least mildly curious about what kind of person “the man who created Pokémon” is. I see no reason why the book wouldn’t have at least moderate success on the English-language market. Hello there and welcome to Takarabako! I’ve started this website to create and share meaningful content (I hope!) about anime, manga, video games and other Japanese stuff that you won’t find on many other English websites. I hope you’ll enjoy my articles and will get new information and insight out of them. Right now, this website is still heavily work-in-progress – I will likely adjust the design to my needs in the near future. I don’t have much to write at this point, but maybe this F.A.Q. (of questions that were actually never asked) will give you a small idea. I will use it as a blog for various things that interest me, most of all anime, manga and Japanese video games that are under-covered in the English internet. Articles will range from impressions to informative and analytical pieces and will cover both works old and new. Every once in a while you may also find me musing or reminiscing something. I will also try to do some translations of interesting interviews. I’m into video games (mostly Japanese RPGs) since my childhood, an active watcher of anime since 2012 and interested in Japanese media and Japan in general. I’ve been learning Japanese for quite a few years, and am currently living in the Tōhoku region. The word “takarabako” (宝箱) means treasure chest. I have chosen it since most of the articles will cover Japanese content, and because I hope you will discover a few treasures while browsing this site. I’m fond of warm, family-friendly, nostalgic and adventurous works among others, so I definitely wanted a playful name for the website. My original idea was “himitsukichi” (秘密基地) – a “secret base” build by children, like a tree house – but domains and variants of that were already taken. What are some of your favorite anime/manga/books/games? You can find (mostly) up-to-date lists of my favorite anime and creators on my AniDB page. My favorite manga include Kakukaku Shikajika, Yotsuba&!, Vinland Saga, the works of Jirō Taniguchi, Inio Asano and Fumiyo Kōno. Some of my favorite Japanese books: the Kemono no Sōja (The Beast Player) novels by Nahoko Uehashi and the Kiki’s Delivery Service novels by Eiko Kadono. I’m still on my way to discover many more works. Some of my favorite games: Final Fantasy V-X, The Legend of Heroes: Trails in the Sky trilogy, Grandia series, Shadow Hearts series, Persona 3 + 4, Catherine, Suikoden series, Yakuza series, True Remembrance, To The Moon, Child of Light, Life Is Strange and many others.